Item No. 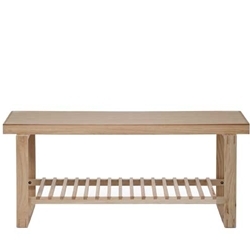 89 Oak Coffee Table or Bench with slatted wood shelf. Multi-use ; warm, clean and architectural.